Albert Thomas Dosser III, 87, Johnson City, passed away on August 30, 2014. Tom Dosser was the son of the late Albert T. Dosser, Jr. and Sara Tweltridge Dosser, and was born on November 29, 1926, in Johnson City, TN. He graduated from Science Hill High School in 1945 as one of those drafted in the middle of his senior year to serve in the Army. After his discharge he attended ETSU two quarters before transferring to the University of Cincinnati where he received a degree in Mechanical Engineering in 1953. While serving as president of the Wesley Foundation on Campus, he met Emma Jane Buell and, upon their graduations, they were married. Mr. Dosser worked with IBM for four years then joined his father in business at Ferguson Transfer. After 13 years he joined General Shale for two years before he established his own business, Tom Dosser Transfer, Inc. in 1976. Although he "parked his truck"? in 2000, he continued to assist folks with storage. As a life member of Munsey Memorial United Methodist Church, he was a member of the Solon Gentry Sunday School Class and served numerous positions and committees, including the Scouting Committee. His Scouting experiences began in 1935 and continued until his death. He served as Scout Master for Troop 37 for many years and continued to remain active with the troop. The Boy Scouts of America awarded him with the coveted Silver Beaver Award, the James E. West Fellowship Award, and in 2012 he was recognized for 65 years of service. He remained active in the Rotary Club where he was a Paul Harris Fellow and served a term as president. After his retirement he became involved in the committee for Bikeways in Johnson City and the Friends of Nature. 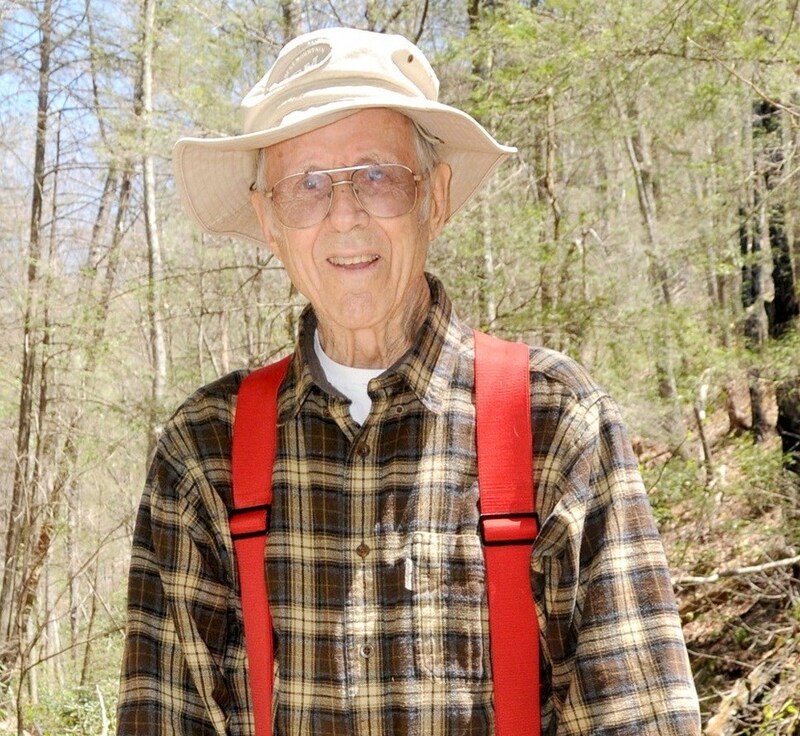 He worked tirelessly to clear and make new trails on the Buffalo Mountain Park, where he created and worked to maintain the Lone Oak Trail. He was awarded the Friend of Nature Award for 2004 and again for 2011. He, along with his good friend Frank Knisley, was an early proponent of the Tweetsie Trail in Johnson City. Surviving are: his wife of 61 years, Janie; three daughters, Amy Kellum of Durham, NC, Beth Dosser of Johnson City, and Sara Moore (Marc) of Durham, NC; three sons, Al of Seattle, WA, Jim (Marcia) of Johnson City, and Ralph of Longmont, CO; grandchildren, Thomas Kellum, Michael Kellum, Maxwell Dosser, Maddie Dosser, Emily Moore, Lucy Moore, Merry Moore, and Elijah Moore; and two sisters, Sara Tannewitz, Kansas City, KS, and Elaine Pospisil (Jerry) Schenectady, NY. In lieu of flowers, memorials may be made to Boy Scouts of America Troop 37 (129 Boone Ridge Dr. Johnson City, TN 37615) or Johnson City Parks and Recreation to be used for Tweetsie Trail and trails on Buffalo Mountain. A Celebration of Life Service will be held at 7 pm Tuesday, September 2, 2014 at Munsey Memorial United Methodist Church. A reception for family and friends will follow the service. Public viewing will precede the service from 6 pm until 7 pm Tuesday at the church. Janie, my thoughts and prayers are with you and your family during this very sad time. He and you are very special people! God bless you! To Tom’s Family:I have known Tom through hiking since I moved here in 2001. He has been a continual inspiration to me and to SO many others. I only wish he had lived to be able to hike the new Tweetsie Trail. He will be missed by so many. On a lighter note-I drove his car on the way back from a hike years ago because he was tired and I never heard anyone snore so loudly!I’ll always remember that and his wonderful sense of humor. May the fond memories of his many friends comfort you in his loss. He’s somewhere out on the Lone Oak Trail! Dear Janie and family, Our thoughts and prayers are with you. We were so sad to here of Tom’s death. He was leading hikes for the Johnson City Hikers when we meet him 14 years ago and with him as leader we hiked a lot of AT with him. My stories of hikes with him would fill several pages and all are fond memories. He will be missed by all who knew him and he will find a hiking trail in Heaven. I was so sorry to learn of this loss. Tom was an incredible person and I’m happy to have known him. We always enjoyed spending time with him and Janie at Edgeworth family gatherings. He was truly an inspiring man and I see much of his wonderful character in Jim. Prayers go out to Janie, Jim and the rest of the Dosser Family and Friends.